Getting organized about my blogging has made a huge difference! Not only can I see what I've achieved, I also can see where I need to do better the following month. I often get emails from readers and fellow bloggers asking for tips on staying organized and staying on top of my posts. So I thought, when would be a more perfect time to share my techniques with you than just before the start of the new year? This way, you can start the year off right with a well-organized blog! When I first began my blog, it was just a hobby. Something I would post on the whim, a record more for myself than anything else. But as I began to fall in love with cooking (before I started my blog, I had probably made one complete meal in my entire life!) I started to take more care with my food and with my blog! I wanted to feed everyone and those that I couldn't because of distance, I wanted to provide them with clear instructions and beautiful photos so they could recreate my food for themselves. For me, food is all about connections and nurturing, nourishment and strength. It gives us the last two so that we can go on and continue to make connections and nurture others and share love. As important as the care that goes into preparing the food I make, whether for my family or friends or for strangers, having clear goals and being able to delineate between failure and success is equally vital. Many fellow bloggers ask how I juggle being a stay-at-home-mom with being a full-time blogger. How do I find time to promote, to post, to do the things that I do. In short, the answer is: organization. It really is the key to everything. I've got a bit of a stacked hand, though, because I'm slightly obsessive compulsive and I have a tendency towards anxiety if there's too much uncertainty on the horizon. I like to know what's going on, when it's likely to go down and what kind of shoes I need to be wearing. I apply that same attitude to my blog and I've seen outstanding results. 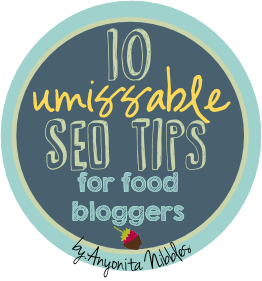 I've also asked some of my very closest blog friends for tips that they do, too! So, I'm going to share with you our common habits for blog organization! Record statistics and monitor growth and stagnationOn the first and last day of each month, I spend a few minutes recording my blog's statistics. I use a chart that I created to track all manner of things: from the number of followers I have with Google Friend Connect to the number of Facebook likes and Bloglovin' readers. I also record things like the number of posts for the month, too. Having these numbers side by side means that I can see straightaway the growth I have had that month but also over a longer period of time as well. A quick glance tells me that for the month of October, I had a few instances where my Twitter followers dipped and my G+ circles stayed the same. Knowing this, I was able to focus and really promote my blog on Twitter and G+ and as a result, the numbers have increased in November and again so far in December. I know bloggers who love the feeling of sitting down at the computer and just posting what happens to come out. This isn't my style of blogging. I like to plan what I am going to post because it helps to keep things varied and because I can easily see where I have gaps in topics. Ie--without planning, I might end up posting for the best part of the month nothing but chicken dishes. That's not a bad thing necessarily, but because this is a general food blog, it would appear one-dimensional. Plannings allows for organized spontaneity. Planning is also important when you start to juggle deadlines for sponsored posts and product reviews. Sometimes, the PR you are working with will leave the post date up to you, but it might be the case that they have a deadline to adhere to as well and need for your post to come by a specific date. If so, it's simplest just to jot down a rough schedule (at the very least) and stick to it. You don't have to expect the worst, but you should always be prepared for it. The worst can be anything--your computer could die. Your hosting can suddenly go kaput. You could lose your fingers in a freak beaver accident. I jest. But you see where I'm going! Now if any of those things were to happen to me right this moment, my blog would be okay. I know what I'm posting for the rest of December and for the beginning of January. There are a few blank dates because I am waiting to hear back about deadlines from a few sponsored posts. But my photos are ready and the recipes (where applicable) are already written out on paper. If my computer died, everything I need is on an external harddrive. If my hosting went out, I could source another hosting company and roll merrily along. If a beaver ate my fingers, well, someone else could type for me. You get my gist. Don't ever not be prepared. Leaving your own blog in the lurch is tres mal. 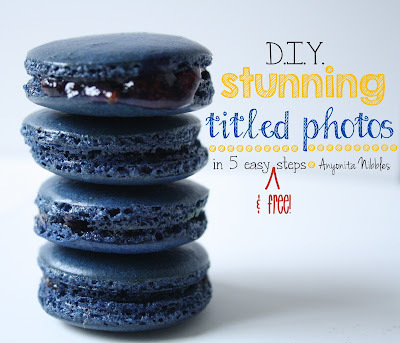 This is especially important if you blog samples or product reviews for businesses. As I touched on, the business/PR behind your sponsored post is very likely going to be working to a campaign deadline and if you've said, "I can have the post up on 4 October" then you should have it up on October 4. Or if you are unable to because you have double booked or because your time management was poor and you are a few days late, then you should, at the very least, shoot them an email saying so, offering a range of dates when you can do the post and allowing them to choose which is most suitable. If we're just talking your own posts, then the urgency of the schedule isn't an issue. Unless you've got time-sensitive posts. A recipe on the most delicious Valentine's Day souffle would be grossly ineffective posted in March. Schedule your posts and prioritize them, too. I prioritize based on a number of things. Sometimes it's seasonality, but most of the time, it's outright favoritism. Just because I plan my posts doesn't mean I stick to the plan. I fill in my planning calendar in pencil just so I can erase and re-plan things at any moment. It works because, unless the post is for a business, I'm not backed into a corner with having to post specifically on a certain date. But on busy weeks, when I barely remember to post at all, it's nice to go to the calendar and simply post what has been allocated for the day. It's like having to wear a uniform in high school. When you're feeling creative or want to show off a new pair of jeans or a top, it's a prison sentence. But when you're tired or don't like anything in your closet, the monotony of a uniform is a godsend. Et tu, blogging schedule. You don't have to spend 99% of your time talking about your blog, not that type of business obsession, but you should approach your blog with a bit of business acumen. Be disciplined, be serious. (Not as in unfunny, but as in consistent.) If you want people to see your blog as a force to be reckoned with, you've got to treat it like it is one! 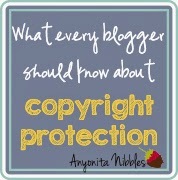 Don't just allow any ol' rubbish to be posted under the precious name of your blog. Your blog's name is your reputation. Associate it with quality content, quality comments and quality SEO and you'll be rewarded. Get lazy and post just for the sake of posting or simply go through the bloggy motions and you won't have a fancy schmancy Michelin-starred restaurant of a blog. You'll have the local, run-down takeaway. And I'm not talking about the good takeaway, either. I mean the one with the roaches and rats, the sanitation score that's just barely above passing and a queue of customers who all smell like piss and feet. As I've touched on, having a blog isn't 100% blogging 100% of the time! Do your blogging duties, make your posts, track your stats, promote yourself and leave quality comments and then close the laptop. Or keep it open, but do something else. Haz cat memes are quite popular, you know. Point is: you are not your blog. Even when your blog is your profession. Even when it quite literally puts groceries on your table, you don't owe your entire existence to it! Set clear boundaries. Decides what's best for you. How many hours a day can you spend on your blog? I spend usually between 4 and 5 hours a day. It's not exactly a full time full-time job, but it's pretty close. Download the kit and get organized! My little self-created kit has been my blogging sanity for half a year now. In June, I set out to get organized better and created this kit. After trialing it for a month and seeing a big improvement in my blogging and social influence, I scheduled to share it with you on this very date! :) (That's right, way back in July, I penciled "blogging organization tips & kit" in the little square with the 12 in it on the December calendar! Because I know I've got readers all around the world, I've done two versions of the kit. The only difference, though is the paper size. So click on the kit that fits the size paper you use and get set organizing! Do you have any other blogging tips? What best works for you? How do you keep your posts straight? 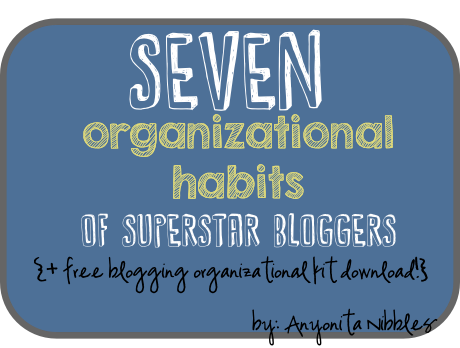 I'd love to get a conversation going with you about being better organized, because even with my 7 tips, there's still areas I'm lacking in! Leave a comment with your advice! What a great post!! As a new blogger it was so much appreciated. Now I have a fear of beavers. J/k! Thanks for the great advice. I organize everything in my head. I generally have a post all written out before I sit down. However, I think I could definitely improve things by writing and planning a bit more concretely. Thanks, Anyonita! Wow! 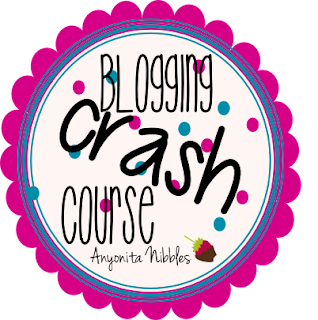 Just come over from Craft-o-maniac and I am blown away by your blog - Definitely a new follower and will fall back into this lovely black hole of great information tonight after work! Just great! Aw thank you! :) Welcome; it's lovely to have you here! G'day and FANTASTIC Anyonita!!! GREATLY appreciate! THE perfect thing for me as a very visual person! I am never without a pad and pencil for when a post idea hits. I use post it notes in the car and I have pads on my night stand and under the sink for those middle of the night ideas. I also use Ever note on my phone to record ideas as I'm walking at lunch.